Hang a wreath on your front door with a little bit of extra decoration this year. 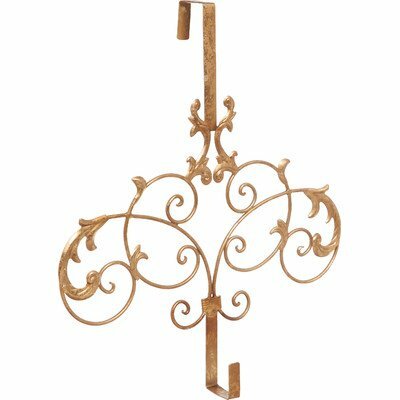 This beautifully designed metal wreath holder will easily hang over the top of your door and will display your holiday wreath. Approximate dimensions are 19.25" x 4.25" x 21"
If you have any questions about this product by Gifted Living, contact us by completing and submitting the form below. If you are looking for a specif part number, please include it with your message.